For Adebola Williams popularly known as ‘DEBOLA LAGOS’, he gets it; this 30 year old man is a book of success stories, he has taken the media in Nigeria to another level, breaking grounds via his numerous platforms; Future Awards, YNaija, Red Africa and the likes. 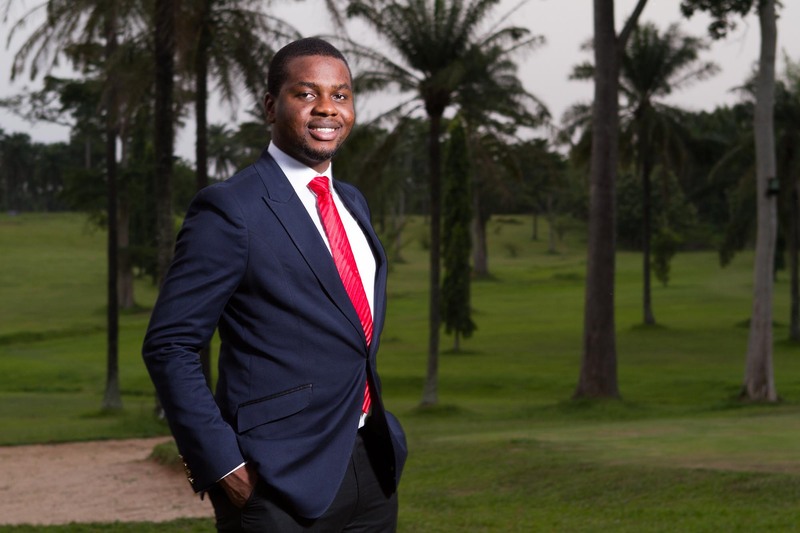 DEBOLA LAGOS is a media mogul with a long list of accomplishments and accolades to his name. * Work Hard, Play hard. Does that philosophy apply to you as an entrepreneur? I don’t think I play enough; my friends say I’m a party popper. When I was younger I partied till dawn, now I try to only attend networking or industry events which I leave earlier most times or I host close friends at my house, so I’m not yet living the work hard play hard philosophy. * At 25, what plans did you have for your career? For me, it’s always been about impact and value. Since I was 14, I’d always hoped I would be able lead people, impact and change their lives. To do this, I believe you need to be comfortable in life and then be able to think and help others. * At 25, were any of your projects running? RED media is 10yrs old this year so many of our projects were running when I was 25. * What’s the difference between RED media, Ynaija, The Future awards and others? RED Media Africa is the group company. Yproductions produces documentaries, TV shows, events, music etc; its content arm produces Ymagazine, Ynaija, The September Standard and more. RED communications is a PR firm with clients like Guinness, House of Tara and the British Council. We also have music artistes like Vector, Omawumi and Asa under RED Communications. Our PR services are all encompassing as we do creating, marketing, advertising and more. Statecraft is the governance communication arm; we did Buhari’s entire rebranding and presidential campaign. * What is Red media Africa doing for the writing culture of Nigerian youths? We’ve always been about grooming the next generation. We use our platforms such as Ynaija to inspire youths and urge them to contribute articles. Under The Future Enterprise Support Scheme we organize writing, photography and other workshops as well. * What were the biggest obstacles, problems you had in starting Red Media? We’ve always been ready to smash challenges. They say “When life throws lemons at you, you make lemonade” but I make chocolate cake instead and let people wonder how I did that. The main challenge that inspired us to start the Future Awards was that young people were going through a phase where people disrespected them because of their age. So we wanted to cause a generational change for the youth to get the respect they deserve. * If you were a start-up now, with no money, how might you approach launching a business, and do you think the internet has leveled the playing field for young entrepreneurs? An entrepreneur finds a way to get whatever he needs to start a business – money, people or whatever else is needed and the Internet gives us so many opportunities. For the first Future Awards we drove our campaign solely through the internet. * When you come up with a business idea, do you generally know if it’s going to be a winner? What do you listen to first: your gut, your heart, your brain or your accountant? Your gut is very important and you need to trust it. In a difficult situation you need to follow what God says and what your gut tells you. * Out of all the ideas, products and services you have created, if you had your time all over again, and could only choose one to work on, which would it be and why? If I could only pick one I’d choose the media because everything else I do is under the media umbrella. * In your own words, what’s the first rule of business? I don’t think there’s a specific first rule of business, but there are some things you need, your gut, passion, resilience, an entrepreneurial spirit and God. God always comes through. * How does Red Media spot creative people? Red media is like an academy, we train our people a lot to improve their creativity, but you need to have something special before we invest in you. Why did you stop the YMagazine print versions? The challenges of print are a lot, there’s a big distributorship cabal in Nigeria. When you go online, you’re able to track your followers, there’s a higher revenue opportunity, and it’s free among other things. So for now, we’ve turned the print magazine into a special for different occasions. * Are there other partners in Red Media? * On the flip side, what interests you socially? I like to be around people, I’m also adventurous. I like skydiving, kayaking and jet skiing. My last vacation was in 2013 – the company literally sent me on vacation. * Top 5 things you can’t do without? My telephone, internet, bible, fuel and people; I always need people because I think better and solve problems when I’m talking to people. * Do you have any philanthropic involvements/projects? I’m not involved with any charity organization at the moment but I always support people in need who come to me. * Any predictions for Buhari’s presidency? I won’t predict anything but I supported his campaign from the very beginning because I believe he’s out for a cleansing of the nation which is exactly what we need. I believe that due to his age and experience he has less people to want to favour, less reason to condone corruption and the respect of the people and I think he’ll be able to achieve that. * Don’t you think it’s conflicting that Red Media which is primarily focused on the youth handled Buhari’s campaign who is aged 72? I think Buhari to be a leader for the moment. Sometimes we need to made tough choices for the greater good. At this time Nigeria needs a “John the Baptist” to lead us out of our present conundrum and Buhari is the right man for the job. We’re dealing with an older generation of people who have controlled this country for years and we need someone of their age whom they fear. Buhari has a huge fanbase, military respect and strategic alliances Nigeria needs. In 5 years Red Media would have…? In 5 years we’ll be in a number of other African countries. We also have some other plans.